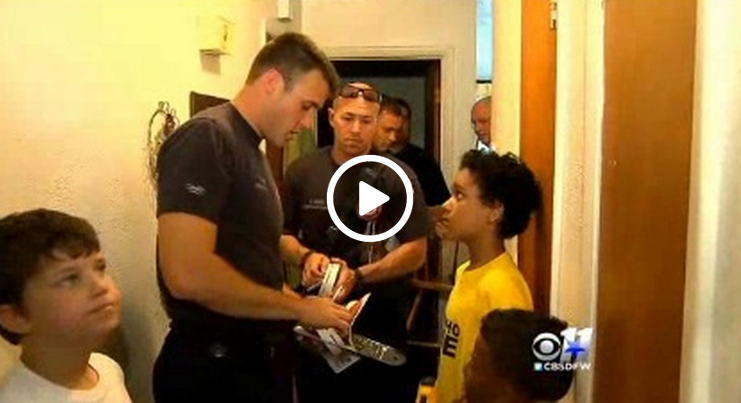 Boy Uses Money Saved For PS4 To Buy Smoke Detectors For The Elderly. Hector Montoya, a nine-year-old Texas boy, had been saving his money for months to buy a PlayStation 4. He was almost at his goal to have all the money saved when he saw something on TV that changed his priorities. He saw a sad story on the news about a mom and her daughter who died tragically in a house fire. Their home was not equipped with smoke detectors, and Hector wanted to do something about it so this didn’t happen to anyone else. “It really hurts my heart to see people die in fires,” Montoya said. The boy took all the money he had saved and purchased 100 smoke detectors. The local fire department helped Hector Montoya install the devices in the homes of the elderly and other people who could not afford to purchase them. The word quickly spread, inspiring others to donate to the cause. 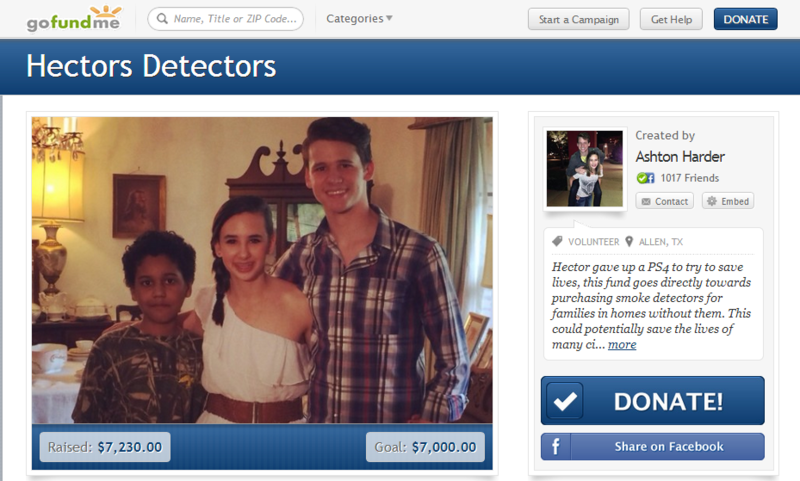 He started a program called “Hector’s detectors.” Hector had a goal to raise $7000, and has exceeded that goal. As of today he is at $7230. So far 282 people have donated in just 8 days. Hector encourages people to give, “Hector gave up a PS4 to try to save lives, this fund goes directly towards purchasing smoke detectors for families in homes without them. This could potentially save the lives of many citizens so please help us help them because “One life lost is too many.” if you would like to help Hector, you can donate HERE. Please share with your friends! They Set Up A Camera To See Who Was Stealing Their Water – You Won’t Believe Who Gets Caught!